Tastemaker Mom celebrates the power and influence of moms. We harness the ideas, opinions and passions of amazing mom-influencers and turn their collective voices into measurable, real-world action. This exclusive, invite-only community of moms helps shape the way that brands, companies, causes see the world. Got Questions? We have answers! Who is TMM for? TMM is for influential moms of every type. We welcome diversity and celebrate the many ways moms impact their communities whether with girlfriends, at the local groups like your PTA, neighborhood association or professional organizations or through social media and online. Is TMM exclusively a blogger network or affiliate program? No. While we love to work with influential bloggers like you, we know that most moms are passionate about making the world a better place and shaping the way brands, companies and causes see the world. The goal is to have as large of a collective voice as possible so our influence grows. What are the benefits of joining TMM? 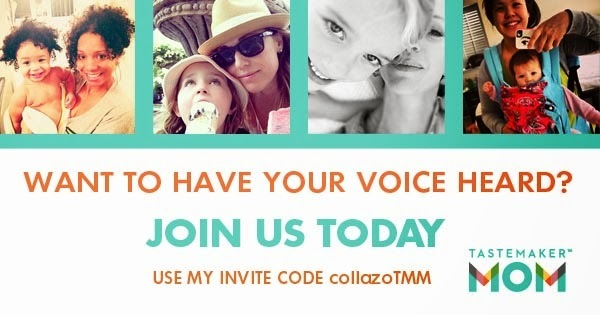 Tastemaker Mom is a young but powerful network of moms who care about having their voices heard. The demand has been contagious as this powerful group of proactive moms looking to affect change in the world continues to grow. We work with a wide variety of organizations who are looking to gain insight and feedback from our network of Tastemaker Moms. As Tastemaker Mom grows, we look forward to working with you to offer ways to connect with other tastemaker moms as well as lending your voice to important causes and more. I signed up for Taste Maker Moms and look forward to working with them. Thank you for the great intro to them! I have never heard of this one before. I will be checking it out. Great information about Tastemaker Mom. Thanks for sharing it! I will have to check this out. I like finding new networks that really work! Nice! Have never heard of this netework. Sounds interesting and something I would like to be part of.